Chess had originated in India. It now familiar across the world owe its origin in India. From there traveled to China and also through Arab world to Europe. There are historical references that in India chess was used as a tool to teach military strategy to Indian princes. That is probably how chess acquired its nickname: the Royal Game. The famous epic Mahabharata narrates an incidence where a game called Chaturang was played between two groups of warring cousins. The game Chaturanga probably evolved into its current form around 600 AD during the Gupta Empire in India. In the 7th century, it was adopted as Shatranj in Sassanid Persia, which in turn was the form that brought chess to late-medieval Europe. Sanskrit caturaṅga is a bahuvrihi compound, meaning "having four limbs or parts" and in epic poetry often means "army". The name itself comes from a battle formation mentioned in the Indian epic Mahabharata, referring to four divisions of an army, viz. elephants, chariots, cavalry, and infantry.Chaturanga was played on an 8x8 uncheckered board, called Ashtapada. From India, the game spread to Persia. When the Arabs conquered Persia, chess was taken up by the Muslim world and subsequently spread to Russia & Southern Europe from Middle east. In Europe, the game evolved into its current form in the 15th century. The first modern chess tournament was held in London in 1851. The age when epic Mahabharata was written is variously dated around 800 BC to 1000 BC. In some form or the other, the game continued till it evolved into Chess. H. J. R. Murry, in his work titled A History of Chess, has concluded that Chess is a descendant of an Indian game played in the 7th century AD. 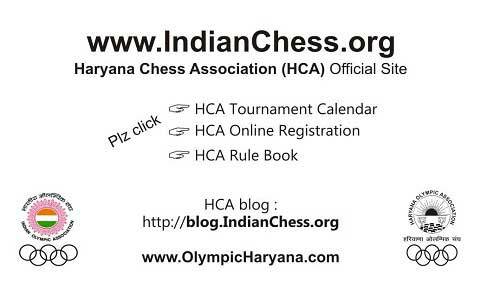 The Encyclopedia Britannica states that we find the best authorities agreeing that Chess existed in India before it is known to have been played anywhere else. Chess originated in ancient India and was known as Chatur-Anga - Meaning 4 bodied, as it was played by 4 players. From this name we have its current name Shatranj. One such instance is in the Mahabharata when Pandavas and Kauravas play this game. Yudhistira the eldest of the Pandavas places his bets on his kingdom, his wife Draupadi and all other material possessions. And by a malevolent trick he loses to the Kauravas everything that he had placed his bets on. Consequently to humiliate the Pandavas, Dushasana one of the evil Kaurava brothers takes hold of Draupadi whom Yudhisthira has lost to the Kauravas, and tries to disrobe her in front of the assembled court. The Pandavas though powerful are helpless as they have lost Draupadi and according to the rules of the game they have no claim on her anymore. In distress, Draupadi invokes Lord Srikrishna to come to her rescue. And in answer to her prayers the lord appears and in a miracle sends a continuous stream of apparel to clothe Draupadi's body. The evil Dushasana tires himself out trying to tear away Draupadi's clothes but he is powerless against the divine strength of Lord Srikrishna. After hours of struggling to achieve his evil intention he falls unconscious to the floor. Draupadi's honor is saved. In deference to Lord Srikrishna's wishes, the Kauravas relinquish their claim to Draupadi. But in return the Pandavas are obliged to relinquish their kingdom for fourteen years and go into exile in forests, after which they return and regain their from the Kauravas, but not before a devastating war is fought between the two clans on the battlefield of Kurutshetra. The Mahabharata story throws light on the fact that a game similar to Chess was played in ancient India. The Mahabharata is variously dated around 800 and 1100 B.C. Thus this game was known in India nearly 3000 years ago. It is the view of some historians that this game was also used in the allocation of land among different members of a clan when a new settlement was be established. The Indian origin of the game of Chess is supported even by the Encyclopedia Britannica according to which, "About 1783-89 Sir. William Jones, in an essay published in the 2nd Vol. of Asiatic Researches, argued that Hindustan was the cradle of Chess, the game having been known there from time immemorial by the name Chaturanga, that is, the four angas, or members of an army, which are said in the Amarakosha (an ancient Indian Dictionary - S.B.) to be elephants, horses, chariots and foot soldiers. As applicable to real armies, the term Chaturanga is frequently used by the epic poets of India. Sir William Jones' essay is substantially a translation of the Bhawishya Purana, in which is given a description of a four-handed game of Chess played with dice. William, however, grounds his opinions as to the Hindu origin of Chess upon the testimony of the Persians and not upon the above manuscript. He lays it down that chess, under the Sanskrit name Chaturanga was exported from India into Persia in the 6th century of our era; that by a natural corruption, the old Persians changed the name into Chatrang; but when their country was soon afterwards taken possession of by the Arabs, who had neither the initial nor the final letter of the word in their alphabet, they altered it further into Shatranj, which name found its way presently into modern Persian and ultimately into the dialects of India. 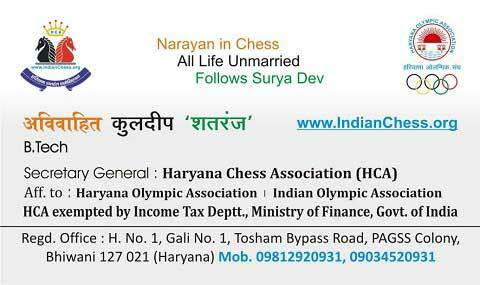 Chess certainly existed in Hindustan in the 8th century, and that probably that country is the land of its birth. He inclines to the idea that the game originated among the Buddhists, whose religion was prevalent in India from the 3rd to the 9th century. War and slaying of one's own fellow-men, for any purpose whatever, is criminal, and the punishment of the warrior in the next world will be much worse than that of the simple murderer, hence chess was invented as a substitute for war. Chess existed in India before it is known to have been played anywhere else. In this supposition they are strengthened by the names of the game and some of its pieces. Shatranj as Forbes has pointed out, is a foreign word among the Persians and the Arabians, whereas its natural derivation from the term Chaturanga is obvious. Again affix the Arabic name for the bishop, means the elephant, derived from alephhind, the Indian elephant. About the introduction of this game into Persia, the Persian poet Firdousi, in his historical poem, the Shahnama, gives an account of the introduction of Shatranj into Persia in the reign of Chosroes I Anushirwan, to whom came ambassadors from the sovereign of Hind (India), with a chess-board and men asking him to solve the secrets of the game, if he could or pay tribute. The king asked for seven days grace, during which time the wise men vainly tried to discover the secret. Finally, the king's minister took the pieces home and discovered the secret in a day and a night. Other Persian and Arabian writers state that Shatranj came into Persia from India and there appears to be a consensus of opinion that may be considered to settle the question. Thus we have the game passing from the Hindus to the Persians and then to the Arabians, after the capture V of Persia by the Caliphs in the 7th century, and from them, directly or indirectly, to various parts of Europe, at a time which cannot be definitely fixed, but either in or before the 10th century. That the source of the European game is Arabic is clear enough, nor merely from the words "check" and "mate", which are evidently from Shah mat ("the king is dead"), but also from the names of some of the pieces. Thus it was from India that the ancient Persians are said to have learnt this game, and from them it was transmitted to the Greco Roman world. The evidence of the Persians having borrowed this game from India is seen in the name the Persians gave to it. The Persian word for chess is Chatrang, which was later changed by the Arabs to Shatranj. this word is obviously a corruption of the Sanskrit original Chaturanga. The other term Astapada meaning eight steps, which was also used to describe this game in ancient India, perhaps was a description for the eight steps (Squares) which the modern Chessboard, has. The modern Chessboard is chequered with 64 (8 x 8) squares in all, with eight squares on each side. The old English word for chess which is Esches, possibly stems from this eight squared aspect of the game as did the Sanskrit word Astapada.